Today is a rather special day for Writing for Murphy. Co-Director, writer, and voice of Stitch, Chris Sanders, created Stitch around 1985 as an idea for a children’s book. I don’t know if you all remember this but back when the Magic of Disney Animation still had animation in it. Before we learned how to draw and before Mushu took us on a tour, there was a short featuring Robin Williams called, Back to Never Land. After that short, we were introduced to a real life animator who would draw a character while we asked questions. I remember those days quite well. On this particular visit, the animator was explaining to us the same ol’ practice your art, and just don’t have Disney characters in your portfolio when applying. But this time he had a good example, he said that Chris Sanders drew this weird little creature during school and tucked him into his portfolio when the idea originally didn’t work out and years later that little creature turned into a Disney character. The room we were in had a two-way glass which would reveal the Animation Department’s courtyard. Lilo and Stitch was the second full length animated film to be made in Disney’s Animation Department located in Orlando. The first being the 1998 Mulan. Lilo and Stitch is one of the few Disney films to take place in the present day, such as Dumbo and one of the few based on an original idea. Lilo and Stitch have more in common with Dumbo than just taking place in current day, America. Dumbo was made in 1941, and had a much lower budget than Pinocchio and Fantasia. This point inspired, Michael Eisner to create Lilo and Stitch in the wake of Atlantis: The Lost Empire and The Emperor’s New Groove, both of which were high budget with little return. Lilo and Stitch was also created using watercolor backgrounds instead the traditional gouache technique which was considered less complicated. Watercolor hadn’t been used since the 1940s, in films such as, you guessed it, Dumbo. And last but not least, Dumbo and Stitch are both outcasts, they’re different from everyone else and misunderstood for it. Hawaii is not just a random location. Stitch was originally going to take place in the middle of Kansas, but Hawaii was just such uncharted territory. No other Animated Film had taken place in Hawaii before, so the animation team went to the island of Kaua’i to research. That’s where they picked up another vital ingredient for the story, O’hana. Their tour guide seemed to know everyone and explained how O’hana meant much more than blood relation. O’hana became the foundation for Stitch’s character, wherever he went and whatever mayhem he caused, he’d always be grounded with Lilo. Stitch was such a hit among fans, that he went on to create his very own little franchise. Complete with three sequel films, Stitch! The Movie (2003), Lilo & Stitch 2: Stitch Has a Glitch (2005) and Leroy & Stitch (2006). He also had two Television series, Lilo & Stitch: The Series which ran in between the last two films and a Japanese series called Stitch! (In this series, Stitch leaves Lilo and finds a Japanese girl named, Yuna). 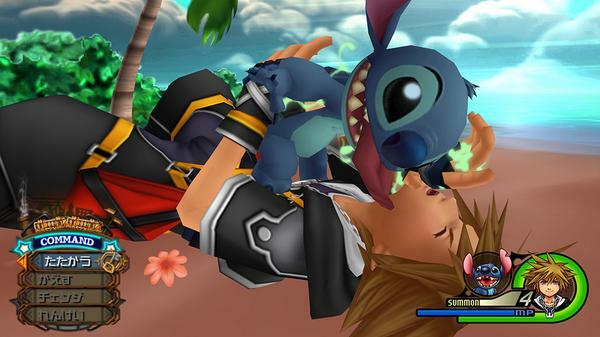 Stitch is very popular in Japan, he was even included in the second Kingdom Hearts because a survey concluded that he was their second favorite Disney character. Back in America, the United States Supreme Court ruled it unconstitutional for any states to ban gay marriage. This ruling occurred on June 26, 2015, aka 6/26 and suddenly Stitch Day was born and Stitch became an unofficial mascot. Co-director of Lilo and Stitch, Dean DeBlois drew this image. Stitch made his debut into this world, June 21st 2002. Right around the same time that my Aunt introduced me with the little dog formerly known as Gus. I fell instantly and deeply in love with both. The two always intertwined for me. Murphy always had one of those notorious reputations. Everyone considered him a handful and a troublemaker. And much like Lilo, I was the only one who really understood him. I saw a lot of myself and Murphy in Lilo and Stitch and thus my collection of Stitch was born. For a glimpse at a small portion of my collection, check out my Instagram! I really appreciate you reading my post today. I hope you have a wonderful Friday night. My boyfriend is Hawaiian so he feels a special connection with Lilo & Stitch. And I just love Stitch because he’s the best and this movie makes me cry without fail. I enjoyed your post, thanks for sharing. I’ve also always had a strong connection to Stitch and he has become one of my most beloved Disney characters!